Do you want to be the talk of the party? 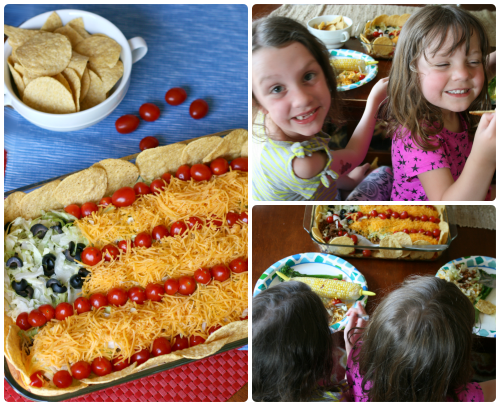 Do you need a fun, EASY dish to bring to your Memorial Day gathering, or a 4th of July picnic? Look no further. 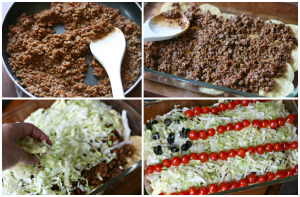 This super easy taco salad flag not only looks pretty, but tastes AMAZING! It literally only took me a couple minutes to make and my entire family loved it. Need a vegetarian version? No problem! I was able to make this vegetarian friendly for Darryl using our soy crumbles. 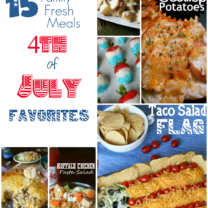 Here is what you need to make this fun dish! 4. Arrange olive slices together in the upper left corner to form stars. For the stripes, alternate tomatoes and cheese. I added a couple extra chips to the side of the dish for some extra crunch. NOTE: If you are making this several hours in advance, I would skip placing the chips at the bottom of the taco salad and just serve them on the side. In a large skillet, cook beef over a medium heat until meat is no longer pink. Drain off any extra grease. Next, stir in the water, salsa and taco seasoning. Bring to a simmer and cook uncovered for about 10 minutes, or until most of the liquid is absorbed. Place chips in a 13-in. x 9-in. dish. Next spread beef evenly over the top of chips. Cover beef with a layer of lettuce. Arrange olive slices together in the upper left corner to form stars. For the stripes, alternate tomatoes and cheese. I added a couple extra chips to the side of the dish for some extra crunch. 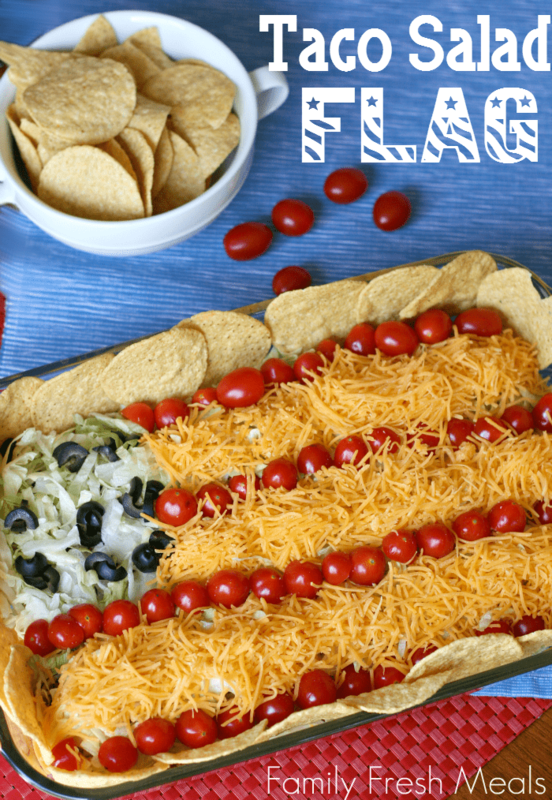 This is so festive and who doesn’t like tortilla chips and dip! I know what I’m making for the upcoming family get togethers!! Great job Chef Corey! I love it! 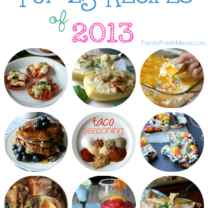 taco is salad is one of my favorite dishes and I love how you decorated it! Perfect for the holiday weekend! 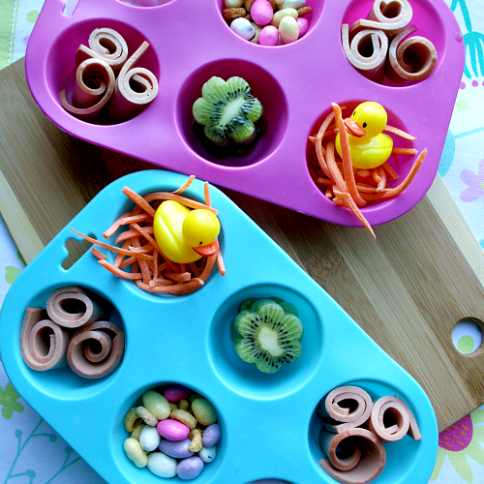 this looks so perfect for all the upcoming summer BBQs! 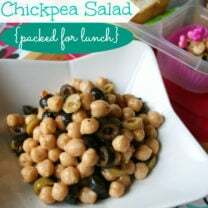 will make this for sure! Yay! 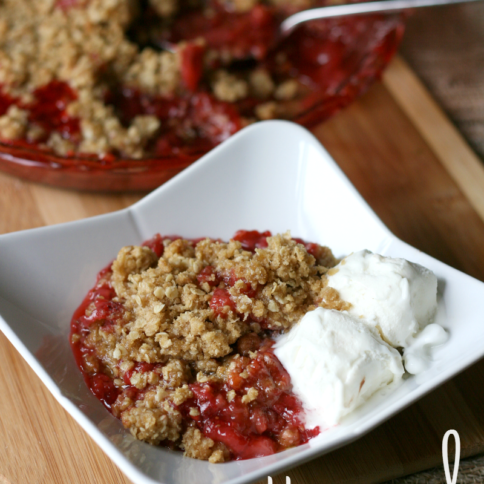 It really is yummy and so easy to make 🙂 I can’t wait for you to try it! You get my Vote too!! Is that 1/4 cup salsa or 1/4 jar? I made this tonight and the family loved it! Thanks Corey!!! 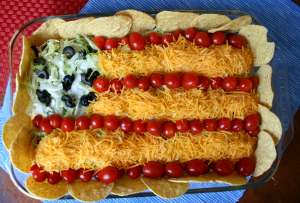 Definitely making this for a picnic tomorrow night. Love it & pinned it! This is so cute! Love this idea of taking something and dressing it up for the festivities! I assume if you are making this ahead of time, the beef will be cold when you serve it. Does it taste OK that way? Looking to make this for a picnic. Do you think this would stay good overnight in fridge? Looks like you spread sour cream over the beef, but it’s not listed in the ingredients?